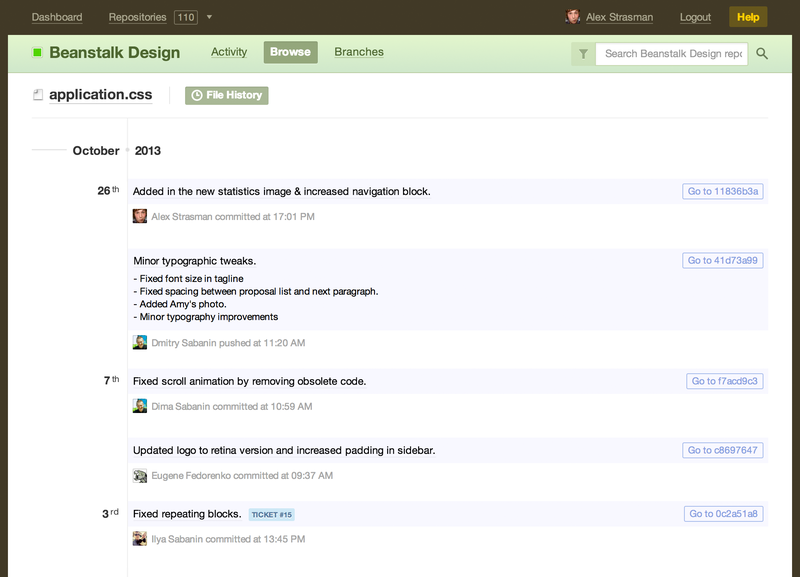 Using Version Control on Beanstalk helps your entire team get involved with the development process. Instantly available with unmatched reliability and security. 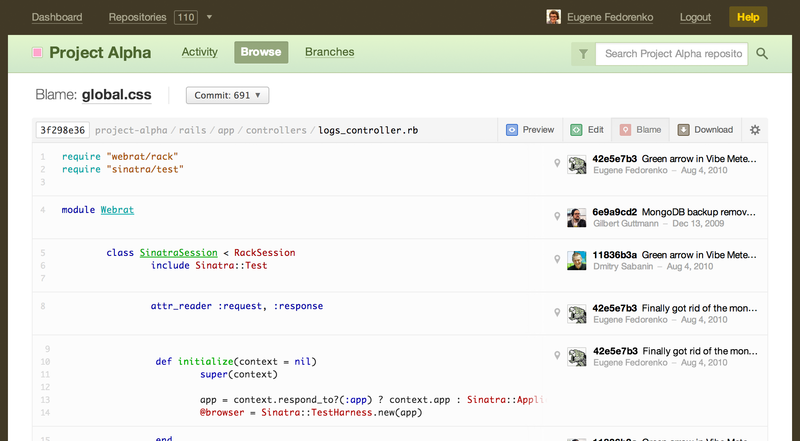 Import or create Subversion and Git repositories that are instantly available to your team. We do all of the complicated configuration for you, and ensure your code is safe, secure, backed up, and available. Manage access rights and team permissions. Restrict access to certain repos and provide read-only or full read/write permissions. You can create teams to quickly manage access for many people at once. 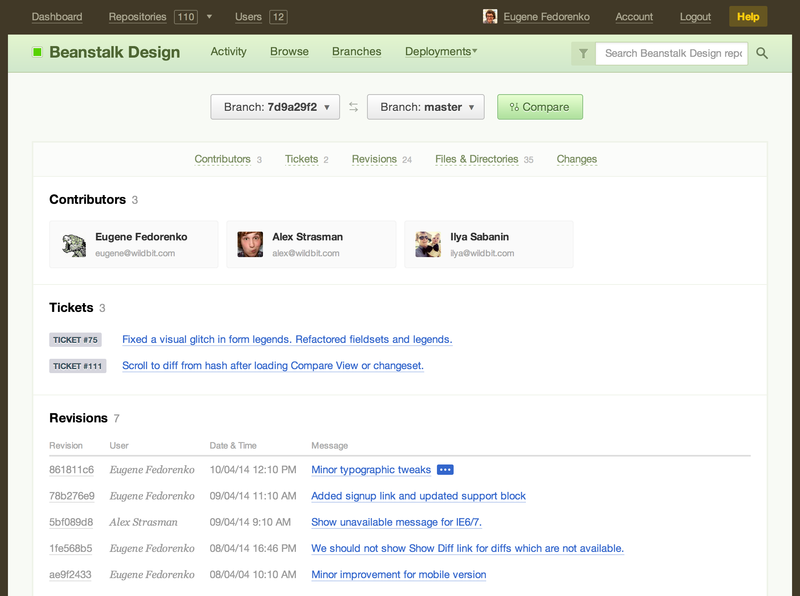 You'll also have a full activity overview of everyone’s work. With Git and SVN, you can restrict a user's write access to any particular branch or directory. For teams that have rigid policies this is a great way to keep code clean. Work from anywhere using web and mobile browsers. Every version of every file you’ve committed to Beanstalk is just a click away. See a timeline of who made changes and view the differences between revisions. Syntax highlighting for over 70 languages. Commit quick changes and fixes on the go. Get work done even when you don't have a local working copy. 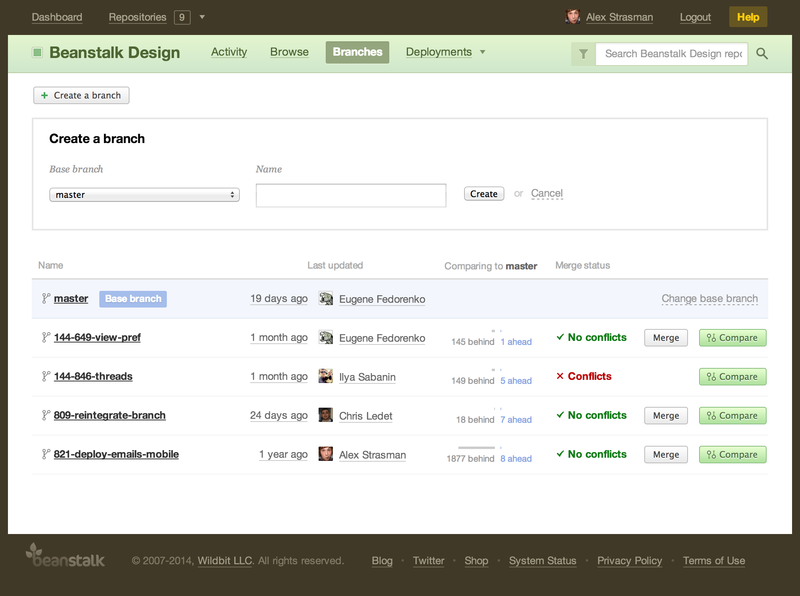 Make and commit changes directly in the web interface of Beanstalk. Handy for putting out fires and allowing your team to make copy changes. Make faster decisions in your design process. Instantly preview HTML and image files in Beanstalk, compare versions side by side, and share them with your team, colleagues or clients, even if they don’t have a Beanstalk account. View every version of all files in your repository. You'll have instant access to every commit made to any particular file. You'll have a timeline of all the changes, who made the change and why. File history will allow anyone on the team to quickly troubleshoot issues. 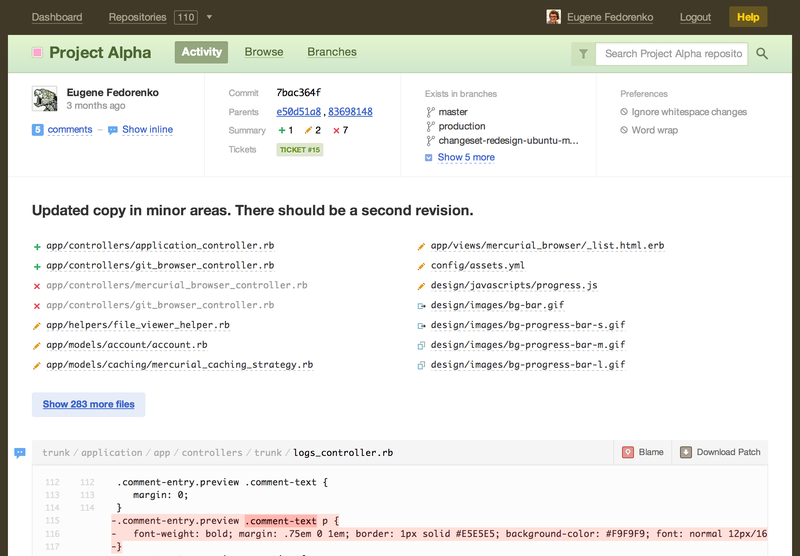 Review the changes across Git branches, including revisions, files, contributors and even associated tickets. It’s perfect for reviewing code before merging. Quick access to the status of every branch. A snapshot of all current branches along with who is involved, how it compares to your base branch, and if conflicts exist. Start new work without ever leaving the browser. Create a branch based on any other branch without ever touching the command line. It's never been easier. Review and finalize changes in a single place. 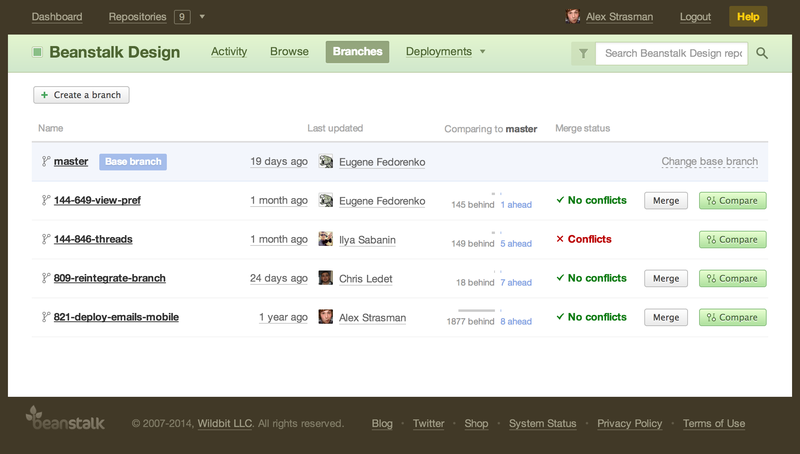 View if conflicts exist, compare the changes and merge back into the base branch in one smooth process.